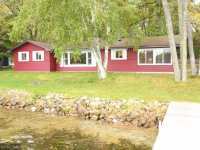 GET AWAY FROM IT ALL AND RETREAT TO THIS FABULOUS WEAVERS POINT 4 BEDROOM 3 BATH PELICAN LAKE HOME. 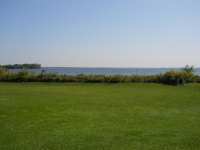 LOT BOASTS THE PRIVACY YOU HAVE BEEN LOOKING FOR, 120 FEET OF PERFECT . 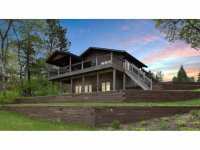 . .
YOU WILL APPRECIATE THIS CUSTOM BUILT 5-BED, 4 BATH HOME WITH SHARED ACCESS TO PELICAN LAKE. HOME . . . MOTIVATED SELLER! ATTRACTIVE PELICAN LAKE HOME WITH 4 BEDROOMS AND A OVERSIZE WORK-SHOP GARAGE. . . .
GREAT WAY TO GET ONTO FAMOUS PELICAN LAKE: BEAUTIFUL SAND BOTTOM - SWIMMING, WATER VOLLEYBALL, BOATING, EXCELLENT FISHING. 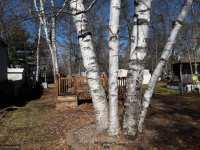 LEVEL LOT WITH BIRCH TREES, QUIET LOCATION, . 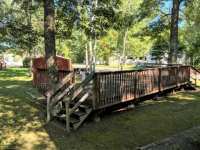 . .
UNIT #531 CONDO AT WALDENHEIM ON THE CHANNEL OFF OF PELICAN LAKE! 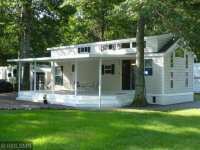 BEAUTIFULLY MAINTAINED PROPERTY WITH PERSONAL DOCK SLIP, IN-GROUND POOL, PICNIC/GRILLING/CAMPFIRE AREA, . . . 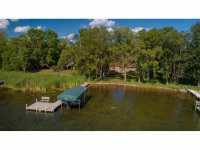 VERY NICE, WELL MAINTAINED, LAKE PROPERTY ON CHANNEL TO PELICAN LAKE WITH IT'S OWN BOAT DOCK AND COMMUNITY POOL. BORDERS ON "BREEZY POINT TRADITIONAL" GOLF COURSE. SOLD . 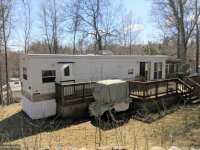 . .
RARE OPPORTUNITY ON PELICAN LAKE, A LAKESIDE STUDIO UNIT WITH A BOAT SLIP! 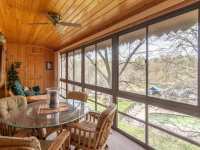 THIS LOVELY UNIT HAS FANTASTIC VIEWS OF PELICAN LAKE- WALK RIGHT OUT YOUR PATIO DOOR TO THE . 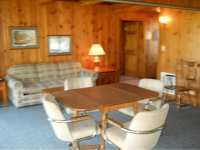 . .
BEAUTIFUL YEAR ROUND PELICAN LAKE CONDO!! MAIN FLOOR END UNIT OFFERS AN OPEN FLOOR PLAN WITH LARGE . . . PRIVATELY OWNED OVER-SIZED LOT IN EXCLUSIVE WHITEBIRCH RESORT HAS HOLDING TANK. LOT HAS SOME ELEVATION FOR PRIVACY WITH A VIEW. 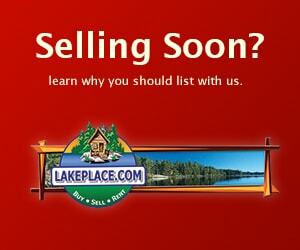 LOT INCLUDES: 2008 BRECKENRIDGE PARK . . . 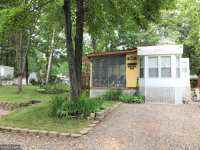 PRIVATELY OWNED LOT W/IMMACULATE 2005 BRECKENRIDGE LOFT PK MDL,ATTACHED MN RM W/COVERED PORCHES ON EITHER SIDE.ROOMY LIVING RM W/PULLOUT COUCH &AMP; ELECTRIC FIRE PLACE, . 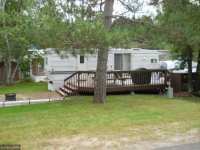 . .
2004 WOODLAND PARK, OUTSIDE LOT, FULL DECK, SHED AND FIRE PIT LOCATED IN GATED COMMUNITY OF WHITEBIRCH CAMPGROUND. READY FOR YOU TO UNPACK AND ENJOY THE SUMMER IN . . . 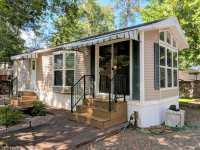 PRIVATELY OWNED LOT W/TOP OF THE LINE 2007 KROPF SUPER LOFT PARK MODEL, HUGE COVERED PORCH, SHED, BEAUTIFUL PAVER DRIVEWAY &AMP; RIVER ROCK AREA W/PAVER FIRE PIT &AMP; . 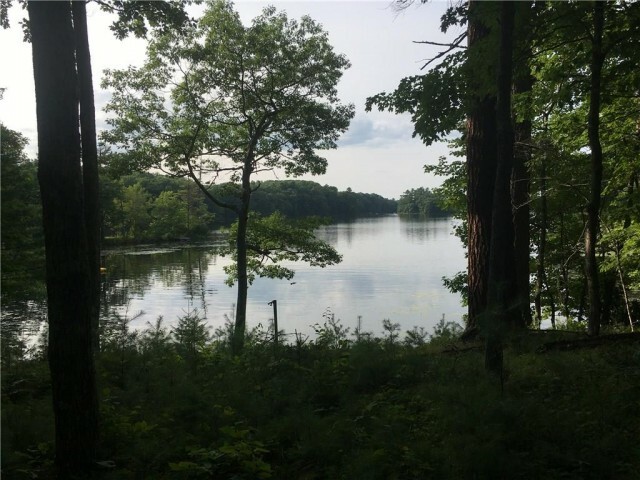 . .
GREAT BUILDING SITE THAT IS CLOSE TO MANY AREA AMENITIES, THE PARCEL IS LOCATED ON DECAN'S GOLF COURSE AND SHAFFER LAKE. YOU'LL LOVE THE LOCATION AND THIS BEAUTIFUL . . . 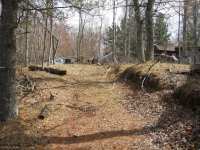 PRIVATELY OWNED LOT NESTLED AGAINST THE WOODS IN LOWER CLUSTER 2. 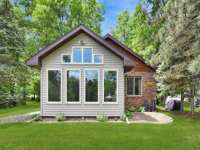 SURROUNDED BY MATURE TREES MAKES THE PERFECT SETTING FOR THE 2008 KROPF SPECIAL EDITION LOFT MODEL, . . . 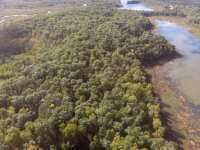 PRIVATELY OWNED LOT IN EXCLUSIVE WHITEBIRCH RESORT. 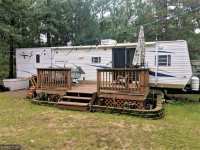 LOT INCLUDES: 2004 SENTINEL PARK MODEL, IN PRESTINE CONDITION, 10'X 24' DECK HAS BEEN FRESHLY VARNISHED 2018, 8'X 10' . . .
NICELY SHADED LOT W/PERENNIAL GARDENS OF HOTAS, MUMS, LILIES &AMP; PEONIES. PRIVACY HEDGES ALONG BACK SIDE. GREAT NEIGHBORS! BERBER CARPET &AMP; LUXURY VINYL, HIGH . . . 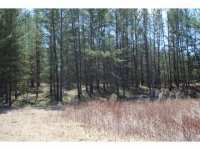 PRIVATELY OWNED LOT ON A SPACIOUS PIE SHAPED LOT ALLOWING FOR BIG FIRE PIT AREA. 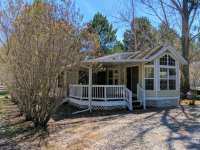 INCLUDES: 2008 BRECKENRIDGE LOFT PARK MODEL, COVERED PORCH OVER DECK, STORAGE SHED &AMP; . . . UNIQUE BEAUTIFUL PROPERTY. 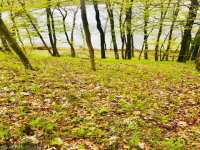 VERY PRIVATE, GENTLE ROLLING FOREST OVER LOOKING ENVIRONMENTAL RAT LAKE . . .
GET ON THE LAKE! 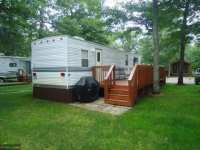 GREAT LOCATION ON THE CHANNEL RIGHT IN THE HEART OF BREEZY POINT. 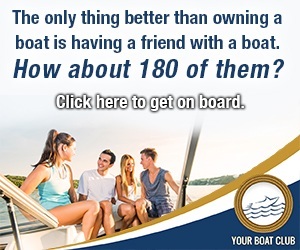 IT'S A SHORT EASY BOAT RIDE TO GET ON THE BIG WATER AND ENJOY THOSE SUMMER DAYS WITH . . . 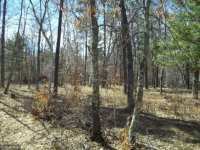 PRIVATELY OWNED PIE SHAPED LOT NESTLED UP AGAINST THE WOODS NEAR SECURITY GATE ENTRANCE. 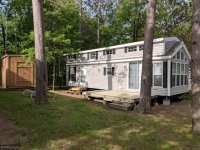 INCLUDED: IMMACULATE 2005 INNSBRUCK SUPREME TRAVEL TRAILER BY GULF STREAM, 8 X . . .
SUPER PRIVATE DOUBLE LOT BACKED UP AGAINST THE WOODS SURROUNDED BY TOWERING MATURE TREES. 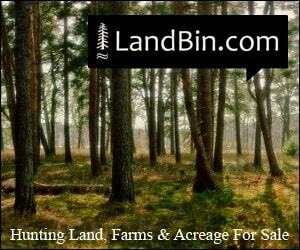 INCLUDED IN THE SALE IS A GOOD LOOKING 12X12 MN ROOM, RUBBERMAID LAWN TOOL SHED . . . 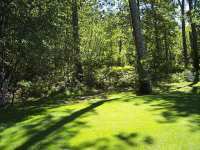 OUTSTANDING LEVEL LOT IN AN EXCELLENT LOCATION SURROUNDED BY MATURE TREES. 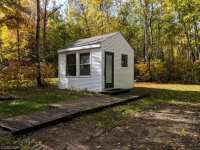 INCLUDES: MASSIVE 32'X12' DECK APRON, 8'X10' STORAGE SHED (WILL FIT YOUR GOLF CART) AND PEA . . . Imagine sitting on the deck of your vacation home along the shores of a beautiful Minnesota lake, sipping your morning coffee as the sun rises. The tendrils of steam from your coffee rise up and disappear in the cool morning air. Birds and other wildlife cavort in the forests around you as the early morning light dances along the lake waters. It is quiet, peaceful and almost surreal in its natural beauty. 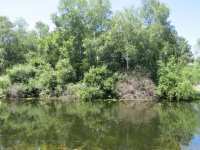 By planning a vacation to the charming resort town of Breezy Point, Minnesota, you too can experience this; the ultimate in quiet relaxation along the scenic shores of Pelican Lake. Breezy Point, Minnesota is a relatively small community with an approximate population of 1,000 permanent residents, according to U.S. Census Bureau data. Due to Breezy Point's quiet natural beauty and the plethora of outdoor recreational opportunities, the population swells to around 5,000 in the warmer spring and summer months. In the 1920's this community emerged as a popular vacation destination with the establishment of the Breezy Point Resort, which once hosted the likes of Clark Gable and Carole Lombard. Located 140 miles north of Minneapolis/St. Paul and a mere 20 miles north of the Brainerd MN area, Breezy Point is surrounded by calm, scenic wilderness, but close enough to the attractions of larger Minnesotan cities. 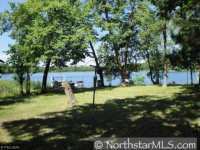 Other nearby communities include Nisswa, Jenkins, Crosslake, Pequot Lakes and Pine River. 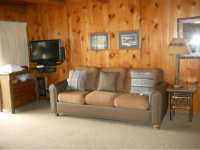 A wide variety of accommodation choices await you in Breezy Point. 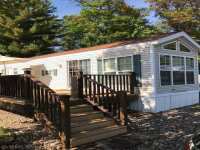 From cozy vacation cabins to secluded lake lots, Breezy Point features something to meet the needs of any traveler. 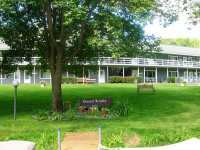 The famous resort of Breezy Point is located in town and features an array of amenities including championship golf courses, a pool, exercise room, Jacuzzi, sauna and ping pong tables, all in addition to their charming and comfortable rooms. 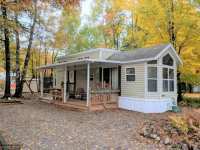 For a bit more privacy, you may want to consider renting a vacation cabin, investing in a time-share or even purchasing your dream home in this delightful slice of the Minnesota Northwoods! 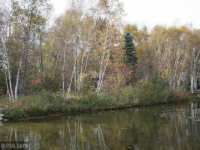 For outdoor recreational opportunities, Breezy Point, MN is a perfect family destination. Pelican Lake beckons visitors to splash and play in its cool, clear waters during the summer months. Kick back along the beach, swim or simply sunbathe and enjoy a good book. Take your boat out for a leisurely afternoon on the calm lake waters. Boats can even be taken out to Pelican Lake's secluded Gooseberry Island for an afternoon picnic. If you do not own your own boat, any of the local marinas will be happy to rent one to you for a day of kayaking, canoeing, paddle-boating or fishing on a pontoon boat. 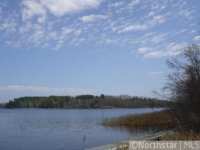 Fishing here in the Minnesota Northwoods should not be missed and the waters of Pelican Lake are brimming with crappies, northerns, pikes, smallmouth bass, largemouth bass and perch. Hunting is another fine Minnesota pastime. Guides are available to assist you with your next hunting or fishing expedition. Golfers will delight in both the Traditional Course and the championship Whitebirch Golf Course at the world-renowned Breezy Point Resort. Absorb the beauty of nature as you hike along the world famous Paul Bunyan Trail. This is the longest Rails to Trails project in the nation, running between the communities of Brainerd and Bemidji, Minnesota. Bikers are also welcome, as are All Terrain Vehicle (ATV) riders along designated sections of the trail. In the winter, cross country ski or snowshoe through the pristine, snowy woods. Portions of the trail are even open for riding snow-mobiles throughout the winter months. You might even be able to catch a dog sled race here in the winter! For fun, family festivals, Breezy Point is an ideal vacation spot. Every spring in mid-May, the Breezy Point Rite-of-Spring celebrates the arrival of warmer weather on Pelican Lake. In the winter, visitors and locals can brave the icy waters of Pelican Lake in the annual polar plunge challenge. Breezy Point also hosts an Ice Festival every January where participants can enjoy bonfires, dog sled races, sleigh rides, an ice slide, fireworks, a snowman sculpture contest, games, prizes and food on the grounds of the Breezy Point Resort. In addition to the abundance of outdoor activities, Breezy Point also features an ice arena for figure skating or hockey games and a community center. In the summer, families can enjoy a relaxed picnic lunch in the city park, complete with a playground, volleyball courts, basketball courts and a softball field. Enjoy one of the many fine dining restaurants in and around the Breezy Point area. Many of the local communities, including the greater Brainerd area feature an array of dining choices. Cozy coffee shops, family ice cream shops and pizzerias are all conveniently located near Breezy Point. From casual to romantic, your family is sure to find the perfect spot to stop for a bite to eat. So, what are you waiting for? 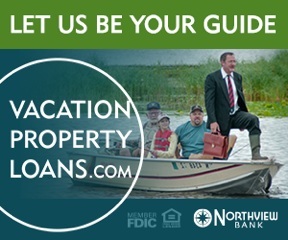 Schedule your trip to the vacationing paradise of Breezy Point, MN today!